A vintage Platinum ring with a GIA 1.58 E/VS1 Ascher Cut diamond. 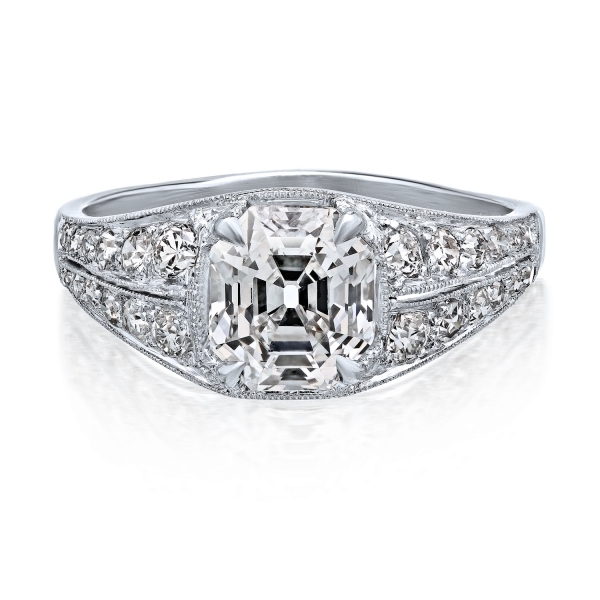 This incredible ring still has a \\\\\\\"9-23-1924\\\\\\\" engraving on the inside. 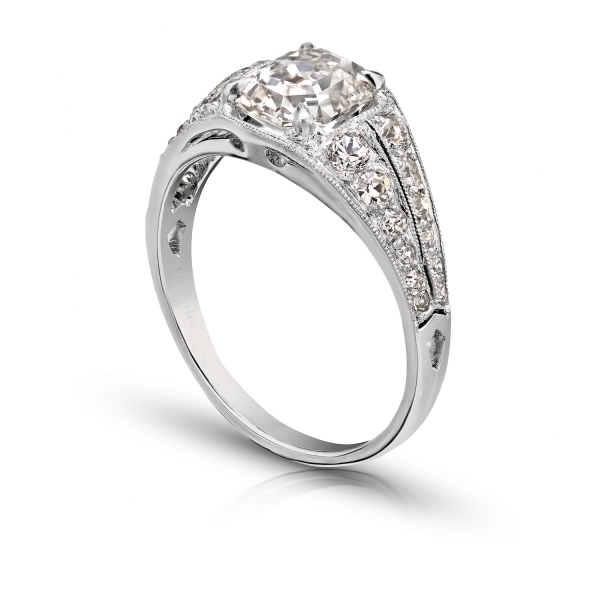 A stunning delicate low profile ring.